Experience refined hospitality in the heart of the Village of Zionsville’s fabulous brick “Main Street” shopping and dining district. Located just twenty-five minutes northwest of downtown Indianapolis and the Indianapolis International Airport, nestled amidst a mosaic of carefully preserved historical homes, many dating back to the 19th century, Zionsville is one of the few towns in the United States that has proudly preserved its brick main street. 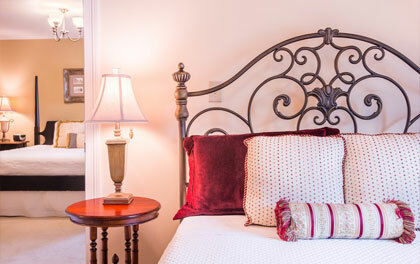 Quaint shops, boutiques, eateries and artisan fare line the streets surrounding the Brick Street Inn’s upscale bed and breakfast style accommodations. 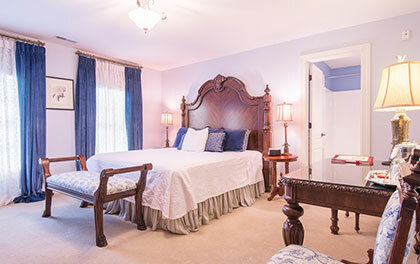 Truly one of Indianapolis’ hidden gems, our boutique hotel has eight luxuriously appointed guestrooms awaiting your arrival. 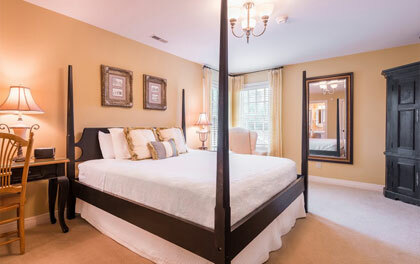 Located just minutes from Park 100 , Interactive Intelligence, Dow Agro Sciences, MOBI, Lids, Teay’s River Investments, Covance, RCI, 3M, UPS, FedEx and Witham Health Services and the Beef and Board Dinner Theater, the Brick Street Inn is the best alternative for the discriminating business traveler. 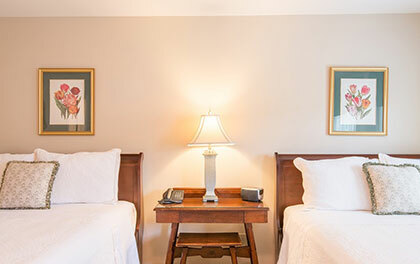 Within walking distance to over 17 restaurants, an array of unique art galleries and antique shops, and 25 minutes from just about anywhere in the Indianapolis area, the Brick Street Inn is the perfect place for family and friends, or business travelers. Come Discover Zionsville for yourself. 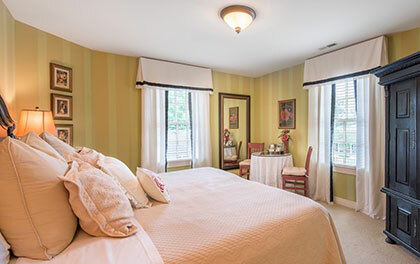 For 30 years, the Brick Street Inn has provided guests with warm hospitality. 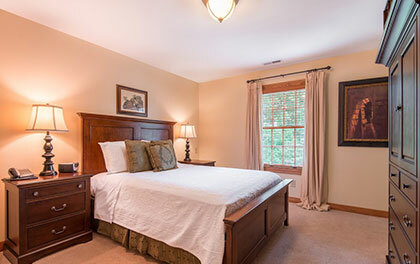 While retaining its historical character, what began as a simple frame house built in 1865 has recently been completely renovated and dramatically expanded to create the thoroughly modern comfort and convenience our guests enjoy today. 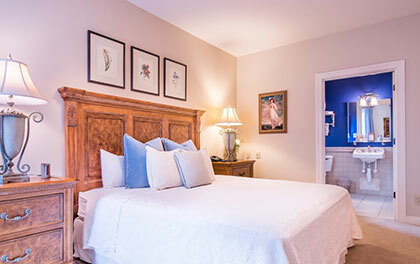 The decor is light, airy, fresh and warm, and our eight guest rooms are furnished with just the right mix of antiques and newer distinctive wood furnishings, complemented by rich colors and beautiful fabrics. 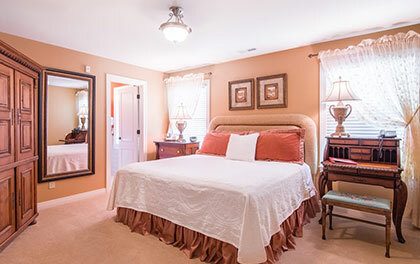 Our guests also enjoy flat panel TVs, wireless internet and private baths.